We’re excited to welcome 27 open source organizations to mentor students as part of Google Code-in 2018. The contest, now in its ninth year, offers 13-17 year old pre-university students from around the world an opportunity to learn and practice their skills while contributing to open source projects–all online! AOSSIE: Australian umbrella organization for open source projects. Apertium: rule-based machine translation platform. Catrobat: visual programming for creating mobile games and animations. CCExtractor: open source tools for subtitle generation. CloudCV: building platforms for reproducible AI research. coala: a unified interface for linting and fixing code, regardless of the programming languages used. Copyleft Games Group: develops tools, libraries, and game engines. Digital Impact Alliance: collaborative space for multiple open source projects serving the international development and humanitarian response sectors. Fedora Project: a free and friendly Linux-based operating system. FOSSASIA: developing communities across all ages and borders to form a better future with Open Technologies and ICT. Haiku: operating system specifically targeting personal computing. JBoss Community: a community of projects around JBoss Middleware. KDE Community: produces FOSS by artists, designers, programmers, translators, writers and other contributors. Liquid Galaxy: an interactive, panoramic and immersive visualization tool. MetaBrainz: builds community maintained databases. MovingBlocks: a Minecraft-inspired open source game. OpenMRS: open source medical records system for the world. OpenWISP: a network management system aimed at low cost networks. OSGeo: building open source geospatial tools. Public Lab: open software to help communities measure and analyze pollution. RTEMS Project: operating system used in satellites, particle accelerators, robots, racing motorcycles, building controls, medical devices. Sugar Labs: learning platform and activities for elementary education. SCoRe: research lab seeking sustainable solutions for problems faced by developing countries. The ns-3 Network Simulator Project: packet-level network simulator for research and education. Wikimedia: non-profit foundation dedicated to bringing free content to the world, operating Wikipedia. These 27 organizations are hard at work creating thousands of tasks for students to work on, including code, documentation, design, quality assurance, outreach, research and training tasks. The contest starts for students on Tuesday, October 23rd at 9:00am Pacific Time. 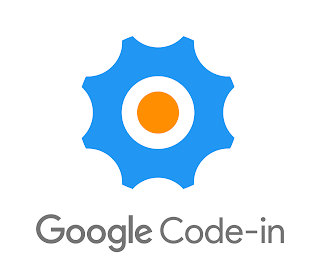 You can learn more about Google Code-in on the contest site where you’ll find Frequently Asked Questions, Important Dates and flyers and other helpful information including the Getting Started Guide. Want to talk with other students, mentors, and organization administrations about the contest? Check out our discussion mailing list. We can’t wait to get started!